By Julia Arciga On June 30th, Greece was scheduled to make a 1.5 billion euro payment to the International Monetary Fund, and - we all know how this sentence ends - they didn’t. Cue the beginning of one of the most watched financial crises of our time, with a heaping side of fanfare to go along with it - and the story is still developing. Greece announced that it wasn’t going to be making the June payment more than a month prior to deadline. At this time, they were in negotiations with the IMF and their eurozone peers to release 7.2 billion euros in aid to avoid bankruptcy. 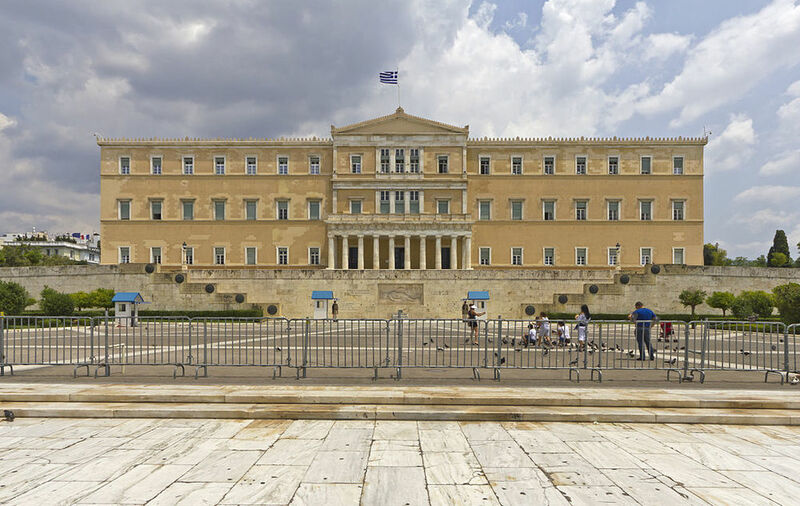 In negotiations, the leftist Greek government was “under pressure” to implement drastic austerity measures, such as drastic budgetary cuts and reforms, that would prevent recovery in a deep recession according to the government. “We have met them three-quarters of the way, they need to meet us one-quarter of the way," Yanis Varoufakis, who has since resigned from his position as Greece’s Finance Minister, told the BBC. Amid tense negotiations, a crowdfunding campaign was started and ended up raising almost two million euro in an attempt to raise enough money to pay down the debt.